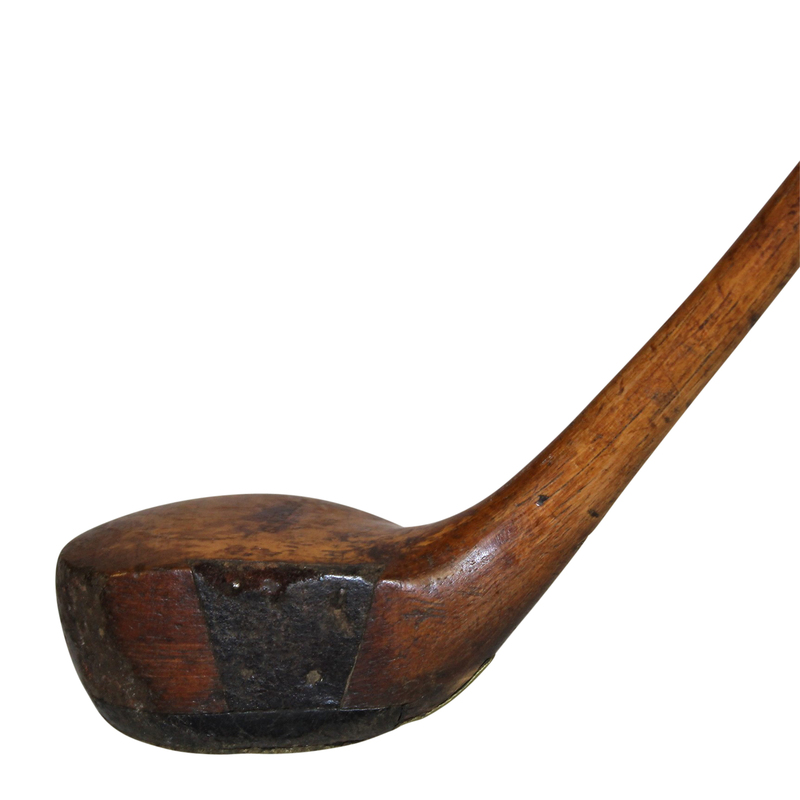 Slazenger came to be in 1881 as a sporting goods manufacturer. Offered here is their one piece driver, circa 1895. 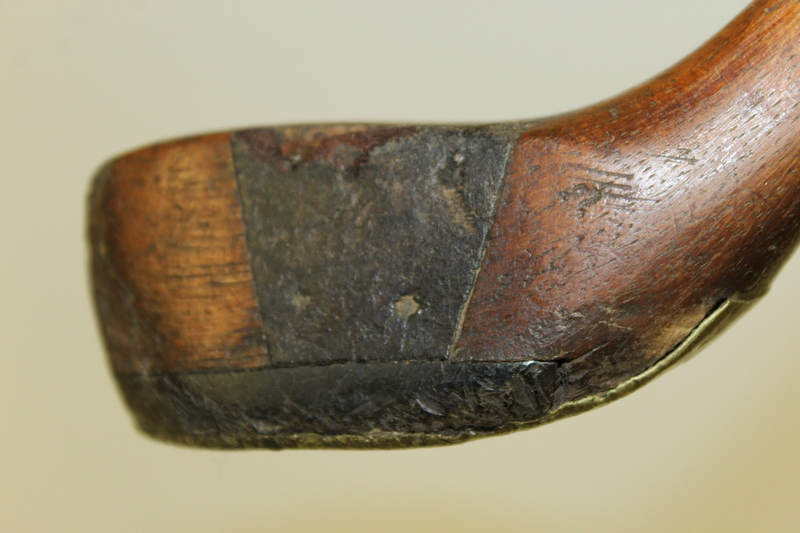 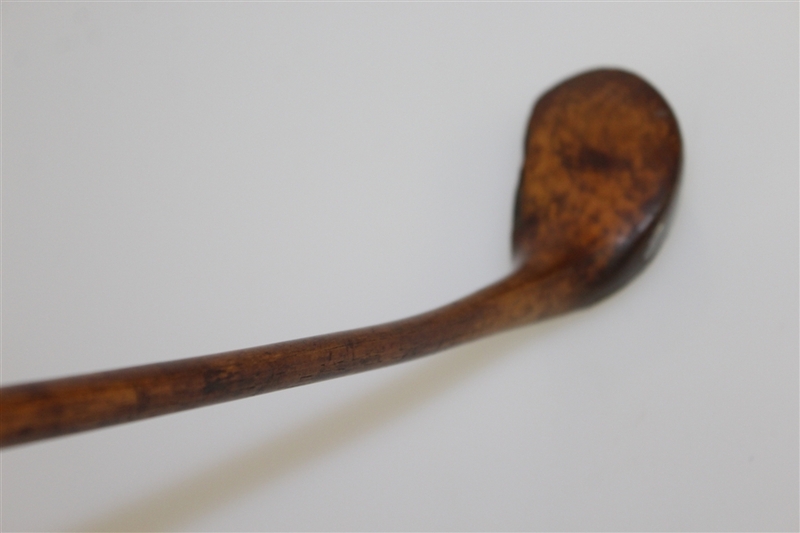 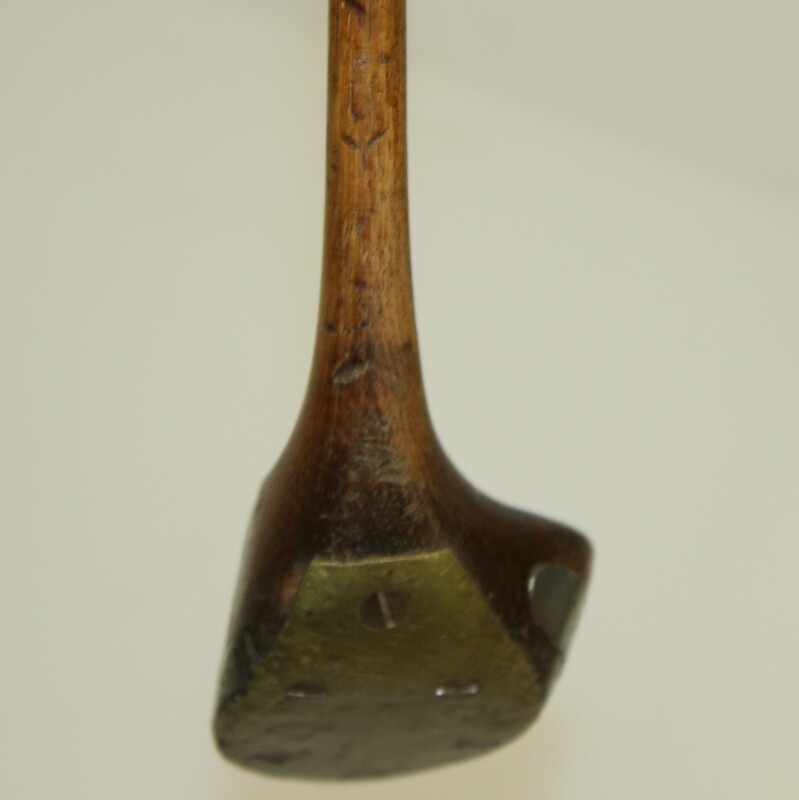 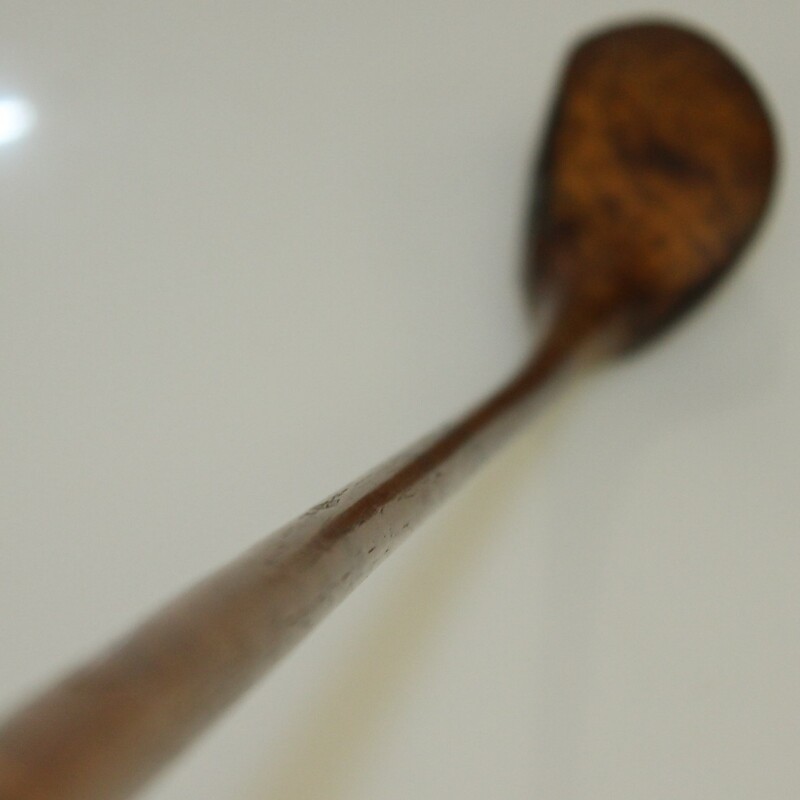 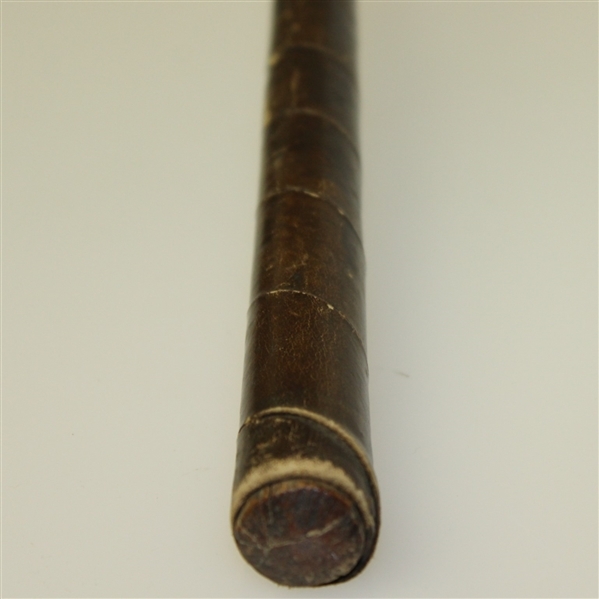 These clubs were patented in 1894 by John Duncan Dunn, the grand nephew of Willie Dunn, made from a whole piece of wood, eliminating the need for a joint at the head. 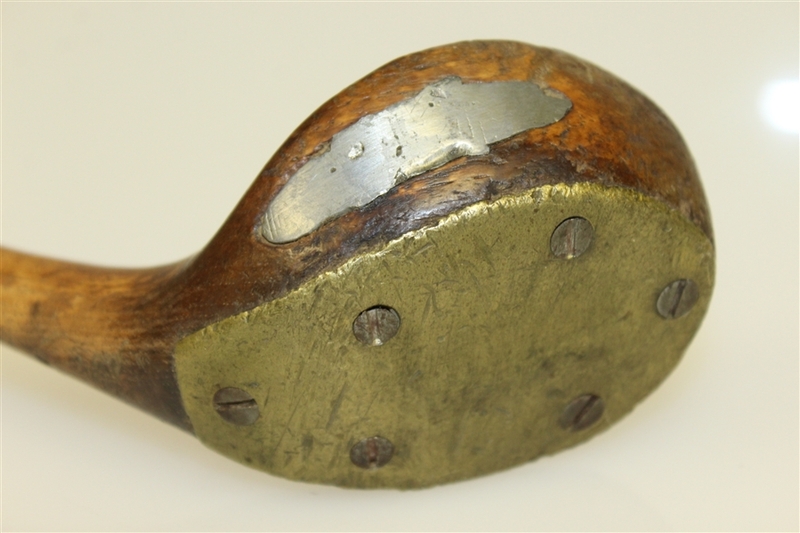 This club comes in good condition, featuring face, sole, and back inserts. 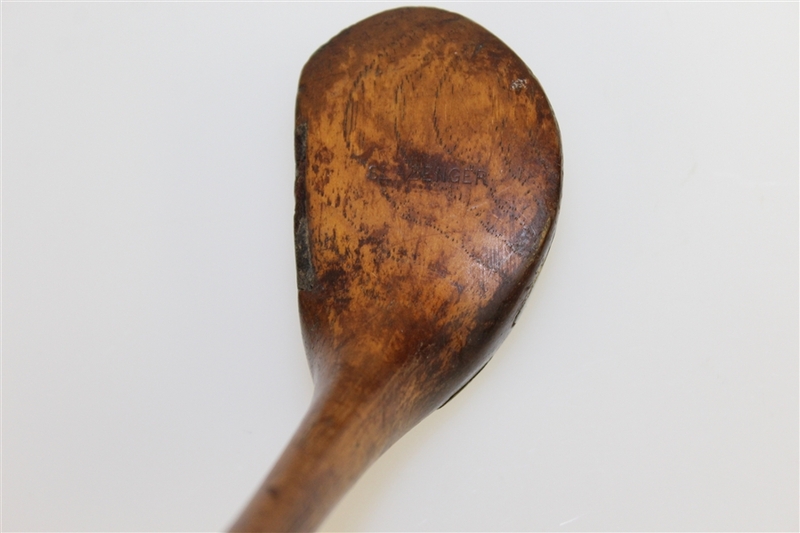 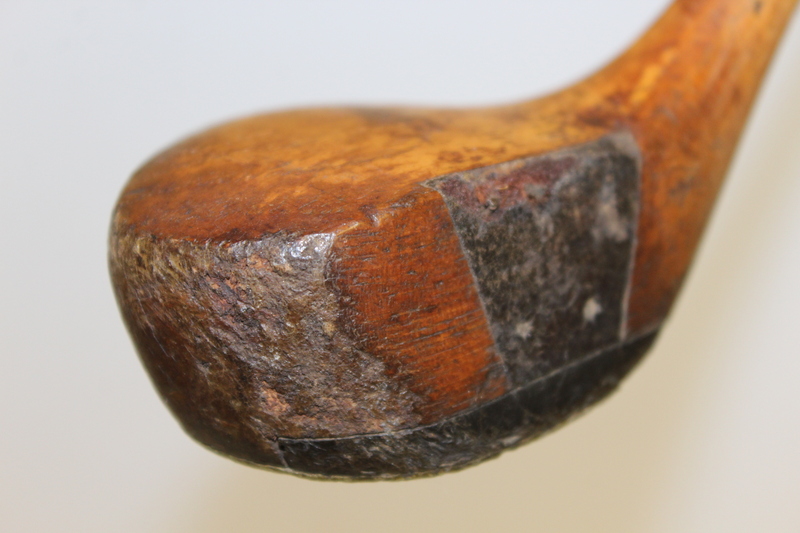 The head shows several strike marks, still the club is highly presentable. 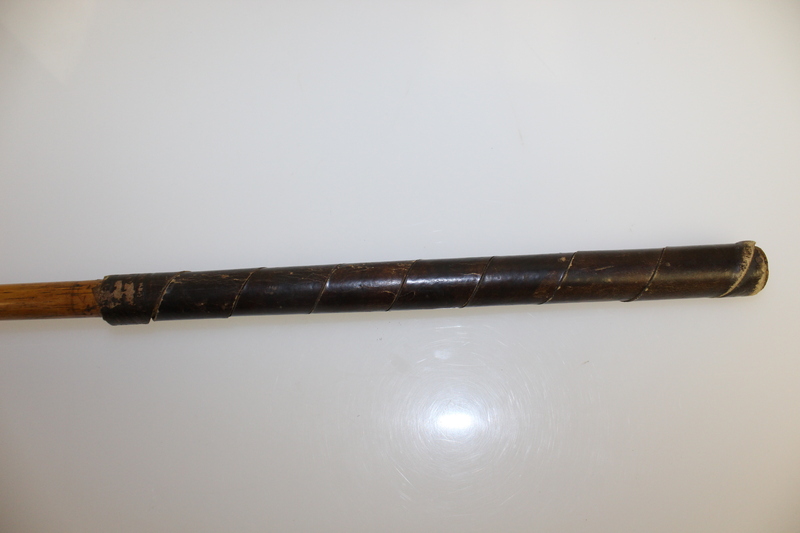 The leather wrap grip is slightly loose. 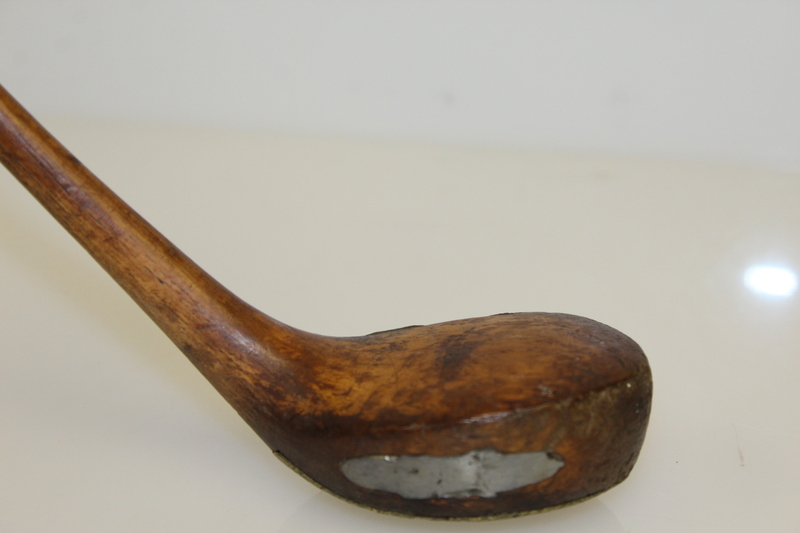 This one piece Slazenger driver measures 42 1/2" to the heel.